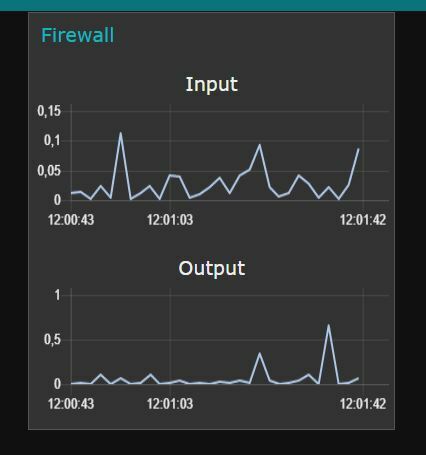 This is an example of how to monitor the bandwidth usage of a firewall. 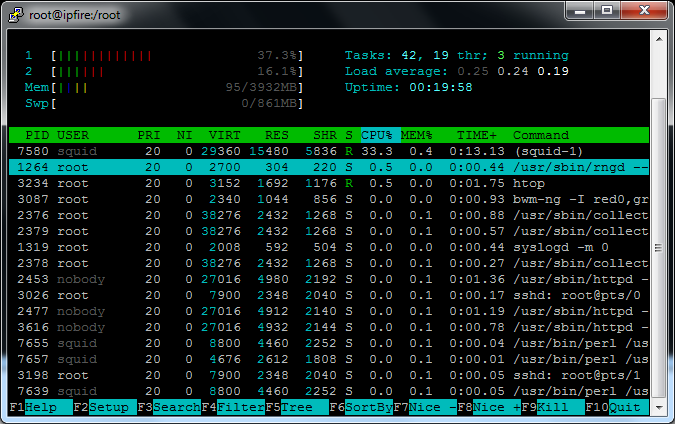 The data is queried via SNMP from the firewall and visualized via Node-Red. Firewall System in this case is an OPNSense. The background: On Linux systems you can’t query utilization via SNMP. You can just query the number of octets transmitted or received on a specific interface. The trick: Query the octets of input and output interface, wait for 1 second and check query again. Then subtract both values from each other and convert them to MBit/s. Start with Inject node: Mark inject once after 0.1 seconds and set repeat to 2 seconds. At least (for input) add a chart node, label it input and configure x-axis last 1 minute. To add another graph for Output, just copy and paste the flow above and change the OID in the two SNMP nodes to OID 1.3.6.1.2.1.2.2.1.16.1 for outgoing packets. It does not matter that the IP connection works! The (system) names of the interfaces are relevant. Since 2013 we have a photovoltaic system with 5.2kWp on our houses roof. 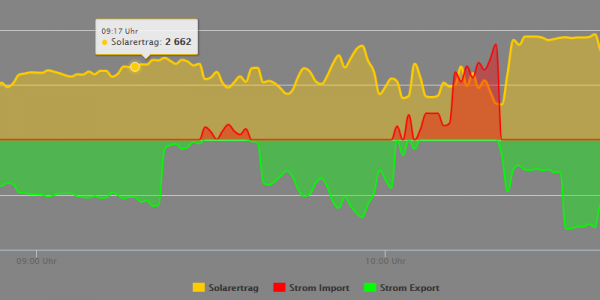 In combination with the SMA inverter it was not a big deal to monitor the PV output. There is a webpage of SMA where you can see the outputs for every day, month and year. The inverter itself sends the data to the SMA servers. Now I wanted to montitor and visualize all the data by myself. And not only the PV output but also the energy consumption. Which means additionally power import and export. To get these data I installed the SMA Energy Meter. With this piece of hardware you are able to monitor the energy flow for every phase in your house. The measured values are then broadcasted, or better multicasted, to your local lan. I wrote a little programm to receive these multicasts, extract the interesting values and save them in a SQLite database. Additionally I used the SBFSpot tool to get the current PV output from the inverter. The current PV output will also be saved in a SQLite DB. A small webpage collect all the data from the database and visualize them with Highcharts. Here are some screenshots of the beta version. 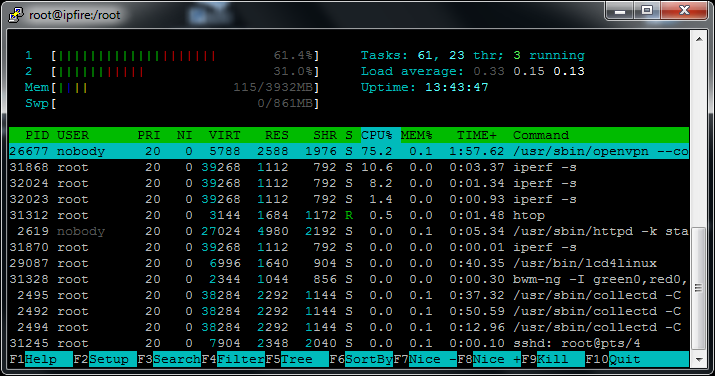 It also runs quite fast on a Rasperry Pi 2, but currently I use it on Ubuntu 14.04 LTS. PV Output, Energy Export and Import. More Tests (with different Window Sizes, power consumption etc.) and more Screenshots can be found here. Did you configure a „RequireValidShell off“ at the end of your proftpd.conf file? I tested Cloudstation on my Synology DS212+ last week. But without AD Integration it was not usefull for me. So I installed latest 4.2 Beta and noticed, that you can also add Active Directory users. In 4.1 you are limited to internal users. Thats really great news for a lot of people out there using a Synology NAS in their company.